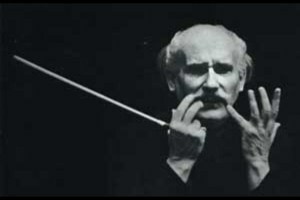 The Italian Academy ay Columbia U.
Arturo Toscanini (1867-1957), the most celebrated conductor in history, was also admired for his opposition to Fascism and Nazism. His clashes with Mussolini and Hitler and his trips to Palestine to conduct an orchestra made up of Jewish refugees from Europe showed the world that artists can raise their voices against totalitarianism. During World War II he lived in exile in the United States, giving benefit concerts to further the war effort, and helping other musicians immigrate and find work. This program is based mainly on the hundreds of passionate letters that Toscanini wrote to his lover Ada Mainardi during the 1930’s, in which he discussed political, artistic, and personal matters. The program also draws upon his letters to Mussolini, Hitler, and Roosevelt. All reveal the thoughts of an artist who had the courage to say no to the Fascist regimes. This theatrical concert features music by composers such as Castelnuovo-Tedesco and Fano, younger contemporaries of Toscanini who were forced to flee Italy, as well as works by Verdi. These works are interwoven with an audio collage of the Italian Racial Laws of 1938 and Toscanini’s rehearsals of Aida. Fryderyk Chopin (1810-1849) spent most of his adult life in Paris, in exile from his beloved native Poland, which was then under Russian control. Among the many love relationships that formed an important part of the composer’s life, the longest and best known was his nine-year liaison with the writer George Sand (pseudonym of Aurore Dupin, Baroness Dudevant). During their tumultuous love affair, she was witness to the composition of several masterpieces of Chopin’s maturity, including the 24 Preludes, opus 28. These musical jewels were composed or completed during a disastrous three-month stay in Majorca, where George Sand had brought Chopin in the hope that he would recover from tuberculosis. In this program, the lovers’ letters, diaries, and reminiscences are interwoven with a performance of the composer’s complete 24 Preludes, offering an intimate look into the inner dramas of two artists in physical and emotional exile. 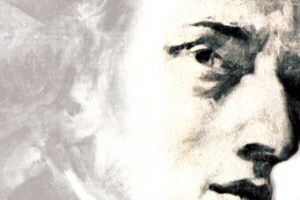 In 1831, Heinrich Heine, perhaps the greatest of all the German Romantic poets, left Germany for Paris, where he lived the rest of his life as a political exile. His works had been banned in his native country as a result of his radical and publicly aired political beliefs. His conversion to Christianity, which was seen by many of his intimates as a betrayal of his Jewish heritage, further exacerbated his isolation. Heine’s works were later banned by the Nazis and his grave in Montmartre was destroyed. 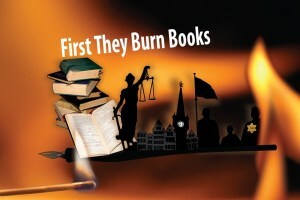 With a script based on Heine’s writings, Ray Bradbury’s Fahrenheit 451, and Wagner’s infamous essay Jewishness in Music, this theatrical concert examines censorship in Heine’s time and beyond, into the Nazi period. Works of the “degenerate” composers banned by the Nazis, as well as some of Schubert and Schumann’s extraordinary settings of Heine’s poems, create a concert experience infused with political drama.